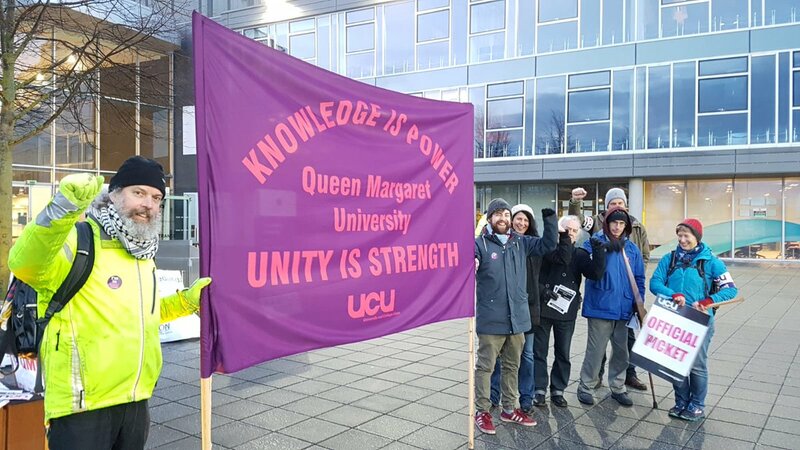 UCU members at Edinburgh’s Queen Margaret University are today on strike over job losses. The union is angry at the loss of around 35 jobs – a 7% loss of the university’s total workforce – because, it says, they cuts are unnecessary and will increase the workloads of remaining staff who will need to do more with less resources. In the recent strike ballot, two-thirds of UCU members (64%) who voted back strike action on a turnout of 72%. QMU UCU spokesperson Oonagh O’Brien said: “Nobody wants to take strike action, but the way the decisions to make cuts were made has angered staff and risks damaging the university’s reputation and the student experience.